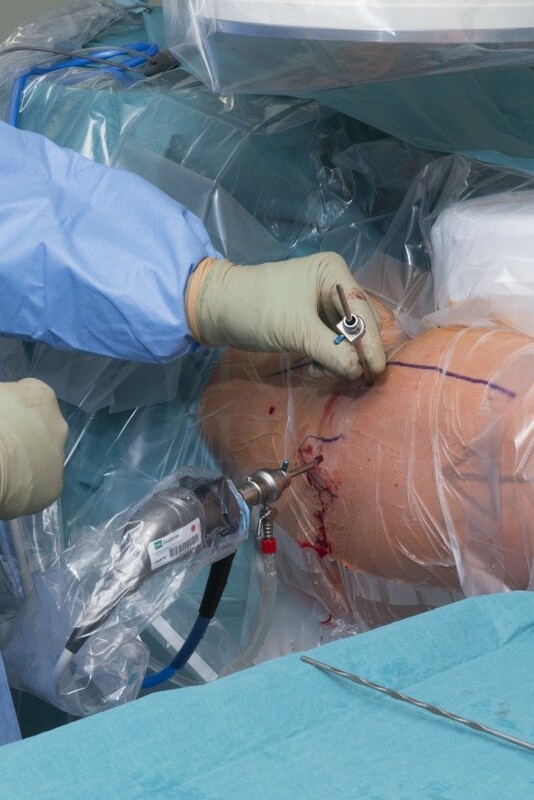 Learn the Hip Arthroscopy – set up and access to central compartment surgical technique with step by step instructions on OrthOracle. Our e-learning platform contains high resolution images and a certified CME of the Hip Arthroscopy – set up and access to central compartment surgical procedure. Hip arthroscopy now is performed ever more frequently though historically was considered technically difficult with limited indications. Over recent years equipment and techniques have greatly improved. Furthermore, understanding of pre-arthritic intra articular conditions of the hip that can be assessed and treated by hip arthroscopy have been refined. This understanding has developed in parallel with improved imaging techniques such as high resolution MRI. The hip joint can be divided into the central compartment (femoral head, acetabulum) and the peripheral compartment (intra capsular neck of femur). The boundary between the two is the acetabular labrum. The central compartment is accessed to deride or repair the acetabular labrum, articular cartilage of the acetabulum or femoral head and the ligamentum teres. The commonest reasons to access the peripheral compartment are to address cam deformities of the femoral neck or to retrieve loose bodies. Institution: The Royal Orthopeadic Hospital Birmingham ,UK.